Ethiopia is the champion of country ownership in development. A program designed in Brussels may not necessarily fit into the local context in Africa. 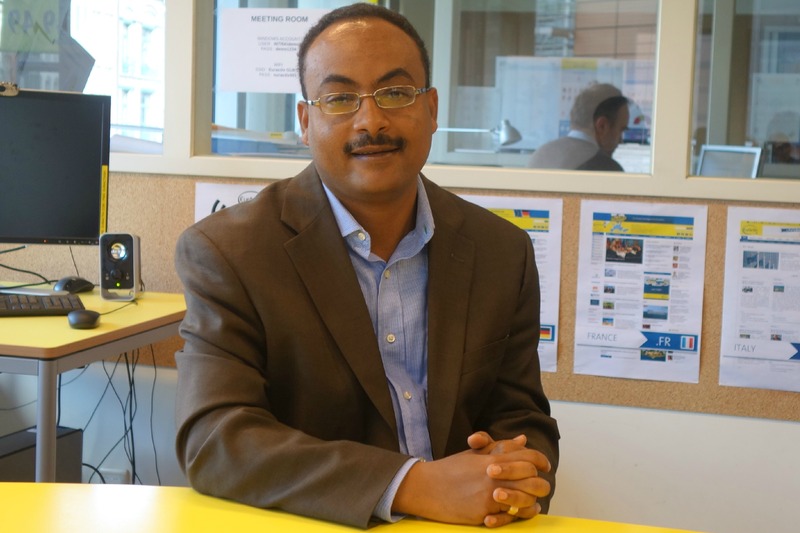 This is why Ethiopia doesn’t accept prescriptions from its development partners, Ethiopian health minister Dr. Kesetebirhan Admasu told EURACTIV in an exclusive interview. Dr. Kesetebirhan Admasu has been Minister of Health of the Federal Democratic Republic of Ethiopia since 2012. He has many years of work in Ethiopia’s health sector under his belt, has overseen its reform, and has led the implementation of the country’s flagship program, the health extension program. Can you describe Ethiopia and its main challenges in the field of healthcare? Ethiopia is one of the oldest countries in the world. We have a population of 90 million people, which makes my country the second most populous in Africa, after Nigeria. Ethiopia is also one of the fastest growing economies in the world. It has recorded double digit growth over the last ten or so years, and now it is the fourth largest economy in Africa. When it comes to health, our system is organised in three tiers. At the base of the pyramid we have what we call a primary health system. It is comprised of one health centre and five satellite health posts, for a population of 25.000 people. Over the last ten years, we have massively expanded the access to primary health care. We constructed around 16,000 health posts and 3,500 health centres. This means that on average, 95% of Ethiopians live within 30 minutes of walking distance from a health facility. Do Ethiopians need to pay for medical treatment? We have two systems in place. (The first is for) those who can afford pay out of pocket, but we are trying to change this in the near future. We are testing a community-based health insurance scheme which is been piloted in close to 200 districts around the country, covering a population of around 20 million. We have a long way to go before we reach the entire population, but the preliminary results are very encouraging. The second system is that we have a set of services that are exempted from user fees, for instance family planning, immunisation, treatment for malaria, for TB and HIV. Regardless where you live, the government provides the budget for these services, and of course development assistance through various mechanisms also helps pay for those services. At the same time, we have a system to protect the poorest of the poor. If you are categorised as an individual living under the poverty line, you are entitled to free services at all levels of the system, and it is the local authorities who pay for the services you receive. But we believe we need to change this and we need to bring the insurance system in place. Two years ago, our parliament passed a proclamation introducing an insurance scheme for citizens in the formal employment sector. All citizens in this sector contribute 3% of their salaries, and the employer also contributes 3%. In Ethiopia, the biggest employer is the government. But Ethiopia is a rural country, and a majority of Ethiopians work in the informal sector. We need to cover this significant portion of the population and this is why we started this pilot program. What challenges has the Ethiopian health system dealt with recently? Ethiopia has done remarkably well in achieving all the health-related MDG goals. Ethiopia has reduced new HIV infections by more than 90%. At the peak of the HIV epidemic at the end of the 90s Ethiopia had really suffered from high incidence of HIV infections. But because of the concerted efforts we have made, new HIV infections have gone down. Malaria has been a huge problem in Ethiopia, causing a lot of deaths in the past, but over the last ten years we didn’t have a single epidemic in the country. We have also reduced TB, which has been one of the top killer diseases in Ethiopia. We have also done very well in improving child survival, in fact Ethiopia has achieved its MDG goal three years ahead of schedule and child diseases have been cut by more than two third. We have also reduced maternal mortality by 69% for the last 20 years. All this was possible because of the innovative health service delivery model we have introduced in the country, which is considered by many as a model for Africa and the rest of the developing world. One example: training doctors takes a lot of time, training nurses and midwives can take four or five years. The best way to avail services and have a huge return on investment is to train low-level heath workers who can provide some of the basic services such as immunisation, family planning and treatment of some common diseases. That was why the country decided to introduces its new cadres, called the health extension workers. We have trained and deployed 38,000 health extension workers. Those are government-salaried high school graduates with one-year training in essential health skills, and they are recruited from the same communities where they go back to serve. And all of them are females. Introducing a female health extension worker in every village has helped the country improve health outcomes. If you take, for instance, family planning, in 2000, only 6% of married women were using modern family planning services. Today, 42% are using modern family planning methods. I can give you a number of examples of achievements thanks to these health extension workers. You mentioned innovation, and this reminded me that actually you are called Mr. Innovation. How was it possible to achieve such results in such a short time? In Ethiopia, there are a few things we do differently. The first one is that we are the champions of country ownership in development. Even though it is with good intentions, there are things that are designed and prescribed to poor countries like in Africa, but a program designed in Brussels or Paris or New York or London may not necessarily fit into the local context in Africa. So we don’t accept prescriptions from our development partners, regardless of whether they are well intentioned or not. We truly believe in country ownership, meaning countries designing their own strategies, coming up with their own ambitious plans. Country ownership is translated into primarily national plans. In Ethiopia, when we develop our national plans, we engage all our development partners. We set targets and we are always told: these are too ambitious, they cannot be achieved. But we always say that if we put all our efforts in these ambitious plans, we might end up achieving those ambitious goals. I can give you an example. In 2003, we had a huge malaria outbreak in the country. And many people died. In Ethiopia, malaria is seasonal, meaning it happens just after the rainy season, when farmers have to harvest their produce. So having a generalised epidemics costs not only the lives of people, but it also affects the economy. In 2005 we said OK, we are going to scale up the delivery of mosquito nets to every household in the country. So the target was to distribute 20 million mosquito nets to 10 million households, two at least per house. At the time, we had no committed money, we had no infrastructure to deliver so many mosquito nets throughout the country, but we believed that by having such a massive intervention, we would be able to significantly reduce the epidemic. Some partners said that this is silly. But at the end of the year, we managed to distribute 18 million mosquito nets, two million short of the target, but nevertheless a massive achievement in its own right. A similar example is when we said we will construct 3,500 health centres in the country in just five years. People were asking, “How is that possible?” After five years, we constructed 3,000 health centres, 500 short of the target, but again, it was a massive achievement. We told our partners, the European Development fund, GAVI, the World Bank, if you help us raise capital for 1.500 health centres, we will be able to mobilise resources to match those numbers. That was how it was possible to construct this massive number of facilities in such a short time. But what makes Ethiopia unique is that we engage communities. We organise people, particularly women, to build on the social and cultural networks we have. Three years ago, we started a new initiative called the ‘Health Development Army’. This is an army of 3 million women volunteers across the country, that is organised in small groups, to talks about their health, to talks about the health of their children and how they can rally support to improve the health of the community members. By using this army of women, we managed to increase the uptake of critical services around the country, especially those who for historic reasons have not been well taken care of, like (being able to) give birth in health facilities. Five years ago, only 5% of women were giving birth in health facilities. Why? Because of tradition, because of culture and religious reasons, women like to give birth at home. But in rural Ethiopia, the likelihood of a woman dying from pregnancy-related complications is very high. Despite all the efforts we made, the service didn’t really pick up. But when we introduced this Health Development Army, the innovations came from them. In Ethiopia women have coffee ceremonies during labour, have a porridge-eating ceremony after birth. Unless these things are availed in the facilities, they believe something wrong can happen to the baby and the woman. So the women from the Health Development Army said, “If you let us avail these cervices in the health centres, women will come.” And this innovation is now working. You said “we don’t accept prescriptions”, but you work with donors. Since we’re having this conversation in Brussels, can explain what your relationship with the European Commission is? We work with donors. Ethiopia has received unprecedented support from its development partners. When you deliver, when you demonstrate that plans you have developed, the strategies you have set in place, the policies you have designed to deliver, donors always support you. This is what we always try to demonstrate whenever we discuss with donors our track record. We deliver, we account for every support we have received, and we are also accountable to the community we are serving. I’m here as part of the ACP health ministers’ meeting. We have deliberated the progress ACP countries have made toward the MDG goals, we have discussed the post-MDG health-related issues, what should the priorities should be, and how we can further increase our collaboration. I have also met with Commission officials to discuss bilateral support. The EU has been supporting the Ethiopian health system, particularly during the emergencies in the past, but two years ago they, also started supporting maternal and child programmes in Ethiopia. We are discussing support for the health sector in the eleventh EDF. We will continue to work with officials here to support our own plan. When the EU provides sector support, it means there are no prescriptions. Your plan is good enough to be supported, and what we expect to deliver is results. So it’s a result-based financing arrangement we are discussing to put in place.